Harman Publications is a privately held company specializing in the publication of Open Access peer-reviewed international journal and books across the broad spectrum of art, science, technology and medicine. If you need rapid and professional publishing, we can help. 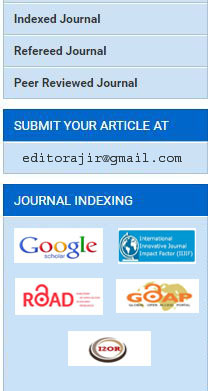 2016 © Asian Journal Of Innovative Research. All Rights Reserved.